It doesn't matter if you're coaching tee ball or coaching at the college level, you're probably the most important role model that your players have during the season. Players are going to look to you not only for guidance and instruction, but they will be watching and listening to how you react to every situation. I'm a strong believer that a coach can be one of the most influential people in a young players life. Many players and former players attribute a large portion of their success in life to the things they learned on the baseball field and from a few great coaches. We're not talking about fielding ground balls, or how to hit; we're talking about teamwork, perseverance, work ethic, having a positive attitude, to just name a few. Skills that not only helped them on the baseball field but helped them in life. Each player needs to know that you care for him as an individual and that you believe he is an important part of the team. Take time to talk to all players individually. Try to take interest in what is going on in their life outside of baseball. Players want to improve and gain new skills. Make sure that you challenge all your players at an appropriate level to foster improvement. This may require that players focus on different skills than other players during practice. Kids quickly pick up on a coach that is unorganized and doesn't communicate his expectations. If you don't establish certain rules and don't follow up with an appropriate punishment if the rules are broken, you will quickly lose control of your team. I always have a rule about talking when I'm talking during practice. I expect when I'm explaining something that the players will have their eyes on me and pay attention. If they interrupt or don't pay attention, I stop talking and we wait as a team for the individual to stop. If he does it again in the same practice he sits down and watches for awhile. I rarely have a player sitting on the side after the first couple of practices. I love the quote in Mike Krzyzewski's book 'Leading With The Heart'. "When teaching, always remember this simple phrase: 'You hear, you forget. You see, you remember. You do, you understand." Often coaches try to teach players a skill by talking about it. The younger the player the less effective it will be. Give a quick explanation while you show them the skill you want them to perform. Then have them do it. Coaches that believe winning is the everything have only one direction to take the team...down. Everyone wants to win, but when main goal is winning a really good season can be lost. If on the other hand you emphasize attitude and effort, a successful season can be had without a league championship. Winning games really will take care of itself if you prepare the team to play hard and always give their best effort. The idea of sportsmanship seems to be lost on many youth players. The fact is, sportsmanship must be taught. If children watch professional sports then their idea of sportsmanship may be to trash talk, spike the ball in the opponents face, or to mimic some other visual statement that demonstrates their superiority. As a coach it's important that you teach the value of sportsmanship. I want my team to show joy when they make an exciting play, but not at the expense of the player on the opposing team. I want my players to always show the other team respect. Your leadership is the best way to get this across to your players. Interact with the players on the other team. Compliment them when they make a good play. Show your players that you appreciate the other team and the opportunity to play against them. Dealing with parents might be the most difficult part of being a coach. Research suggests that it's the single biggest reason that coaches quit. It's a common problem, but one that can be difficult to solve. In my experience as both a coach and a parent I have found some common mistakes that coaches make that can bring on the wrath of a parent along with some ways to deal with a parent that is causing you grief. I believe that communication is the single biggest reason behind coach/parent problems. Many coaches don't take the time at the beginning of the season to hold a parent meeting and discuss with the parents how he/she is going to run the team. Hold a parent meeting right away. This will give you a chance to communicate your philosophy with your parents. The topics should include the importance of winning; how you are going to distribute playing time; how are you going to determine who plays where; what skills and values you are going to emphasize. Try to hit all the areas that are important. If for example you don't start a player if he is late or missed a practice, let the parents know that. It's important that they are aware of team rules and expectations. By holding this meeting right away, you have the opportunity to try and move players to a different team if you don't think it will work out. Let parents know that if they don't agree with how you are going to run the team, then this is the time to try and get the child moved. Stating your philosophy is one thing; implementing it consistently is another. Make sure you make rules for your team that you can follow up with. It is very frustrating for a parent to be told one thing and then see something else happen. I went through this myself last year with the team my son was on. We were told by the coach that all players would get a change to play many different positions and playing time would be distributed equally. The coach said that the emphasis would be on building skill not winning. Well, after 3 loses to start the season, the coach abandoned his philosophy and had the best players play more and play the most important positions. He would simply rotate those players around those positions. You can imagine the grumbling in the stands as parents began to realize that their child was going to play outfield all year and hit near the bottom of the order. There were complaints and it ended up being a frustrating season for many parents and the coach. I've seen many coaches with the "I'm the coach, don't question me" type of attitude. With some parents it can be difficult to not get irritated and show this type of attitude. Many parents won't say anything unless they are angry about something. When they finally do, they often are worked up and at that point can be difficult to deal with. I've found that when dealing with difficult parents, it's important that you listen to their concerns and take a real interest in what they are saying. Don't feel like you have to defend yourself right away. Sometimes listening to the concern and telling the parent that you will think about the situation and get back to them is enough to diffuse the situation. Just by doing that you validate the concern and show that you're open to suggestions. Parents want to feel like their input is taken seriously and that they have a say in what's happening with their child. You then can take the time to analyze the comments and see if there's any validity to the concerns. When you call the parent or talk to them at the next practice they will most likely be much calmer. It will also give you a chance to calm down. Parent complaints at the end of a game can be infuriating. Remember that you are a role model to the kids. If you can't handle the situation without getting upset, then it's best to tell the parent that you have to go and you will call them later. If the parent is complaining and you don't like the attitude they have towards you, take them away from the crowd and the kids and let them know that you don't like the way they are talking to you. Let them know that you want to work out any concerns that they may have, but if they can't do so in a calm manner than maybe you should discuss it at another time. Getting parents involved can really help in avoiding potential parent problems. If you think that a parent is going to be a problem, try to get that parent involved in some way. If that parent only shows up to games, have him/her keep the score book, chart the hitters, or warm-up the next pitcher. If they feel like they are part of the team, they will often be less likely to complain. They also will have less time to focus on how their child is being "treated unfairly"
If the parent makes it to practices, have them help by working with some of the kids. They may soon find out that coaching is more difficult than it looks from the bleachers. If you think you're going to have a situation with a parent that you may not be able to resolve, document all the conversations that you have with that parent. What's their complaint; were they insulting or angry; what was your response. This way if you have to go to league administrators about the parent you can accurately describe exactly what has gone on. This will help the administrators in not having to take sides over a he said, she said type of argument. Are You A Happy Coach? I think one of the most important things I've learned over the years of coaching is how important it is for me to enjoy coaching and to make sure I convey that to the kids. If I have fun at practice there's a great chance that the kids will have fun also. 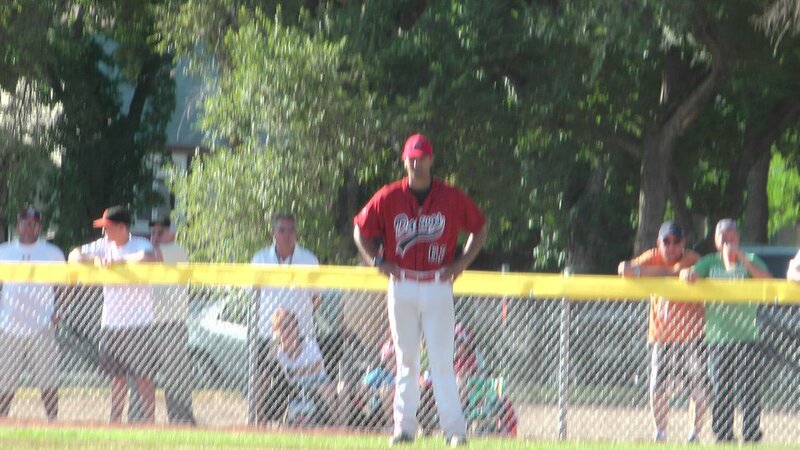 I'll never forget my first year coaching a Little League Majors team. I had it my mind that I wanted to prepare the kids to move on to the next level. I thought 11 and 12 year old boys should be more committed to practice and improving then the younger teams I had been coaching the prior years. That season I worked hard to prepare those kids for the next level, but it clouded what made me a good coach. It took away my joy and that translated into practices that weren't fun. Not because I wasn't organized and had bad practice plans, I was well organized and had detailed practice plans designed to give them the skills to the next level. What was missing was my enthusiasm and fun for the game. I ended up feeling disappointed that the kids weren't improving the way I hoped. So I tried to talk to them about the importance of practicing harder. I spend way to much time giving talks that weren't working because even though I didn't mean to, I had a disapproving edge to my talks. I didn't realize this at the time as I was caught up in the goal of making them better players. The point of this whole story is even though I thought I was doing the right thing, I ended up failing that season as a coach. I remember that season often as a reminder to myself of the importance of me having fun coaching. It really comes down to me being part of the team and having fun with them. If I can't do that, then I know it will have a negative impact on the team. So, what can we do as coaches to make sure we enjoy the season, no matter what the record or talent level of the team you have? As you coach this season, try to think about your own happiness and how you can make changes to help you enjoy the process of coaching the kids. It may be that you try to do everything by yourself. Don't do it if it's causing you to stress and not enjoy coaching. Ask parents for help and try to get to a point where coaching is manageable and fun. In the end, youth athletics need good coaches that continue to coach because they find it rewarding and fun. Try to be one of those coaches by thinking of your own happiness as a priority in having a successful season.